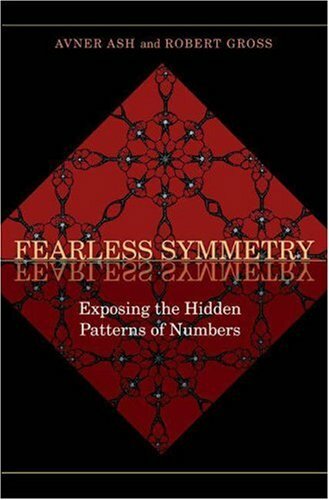 I come to you today with a recommendation for the book Fearless Symmetry by Avner Ash and Robert Gross. I started it this summer and finally had a chance to finish it over the Christmas break. I didn’t understand the last half-dozen chapters, but my dad did warn me that would happen. I wouldn’t even attempt reading it unless you’ve already been exposed to some undergraduate mathematics. But if you have, or if it’s been a while and you need a refresher, I highly recommend the book. In the book, Ash and Gross attempt to explain some of the math underlying Wiles’ proof of Fermat’s Last Theorem. So you can understand why the math gets a bit hard at the end. Along the way, you’ll get a very conversational, well-written, fun-loving introduction to the Absolute Galois Group of the Algebraic numbers. This is a group that is so complicated and messy and theoretical that we can only explicitly write down two elements of the group. In order to talk about it, we need representations, which the authors also introduce in a gentle way. In particular, we need linear representations. Elliptic curves become very important too. I have studied elliptic curves in two of my classes before, but I really liked the way they introduced them here: We know everything about linear equations (highest exponent 1), and everything about conics (highest exponent 2 on x and y), but suddenly things become very interesting when we allow just ONE of the exponents (on x) to jump to 3. These are elliptic curves. Amazingly, you can define an arithmetic on the points of an elliptic curve that yield both a GROUP and an algebraic VARIETY. Incredible. Of course, the authors introduce what a variety is too. After reading this, I also gained a much bigger view of abstract algebra–a course I’ve taken, but I found myself guilty of seeing the trees but not the forest. I loved the way Ash and Gross introduce the group SO3 and relate it to A4 with the rotations of a sphere inside a shell. Very nice visualization! I could go on, but just know that there are lots of little mathematical gems scattered throughout this book. It’s a refreshing jaunt through higher-level mathematics that will demystify some of the smart-sounding words you’ve been afraid to ask about :-). I promise I’ll start blogging again. But as followers of this blog might know, I like to take the summer off–both from teaching and blogging. I never take a break from math, though. Here are some fun things I’ve seen recently. Consider it my own little math carnival :-). Speaking of statistics, my brother also sent me this great list of lottery probabilities. Could be very useful in the classroom. These two articles about Khan academy and the other about edX I found very interesting. File all of them under ‘flipping the classroom.’ I’m still working up the strength to do a LITTLE flipping with my classroom. My dad forwarded these links to me. He has special interest in all things related to MIT (like Khan, and like edX) since it’s his alma mater. I’ll be teaching BC Calculus for the first time this semester and we’re using a new book, so I read that this summer. Not much to say, except that I did actually enjoy reading it. I had this paper on a juggling zeta function (!) sent to me by the author, Dr. Dominic Klyve (Central Washington University). I read it, and I pretended to understand all of it. I love the intersection of math and juggling, and I’m always on the look out for new developments in the field. Feel free to go over to their facebook page and join the conversation. It’s still happening right now. There’s a lot to say about this problem, so I may devote more time to this problem later (and problems like it). At the very least, you should try doing the problem yourself! I also highly recommend this post from Bon at Math Four on why math course prerequisites are over-rated. It goes along with something we all know: learning math isn’t as ‘linear’ an experience as we make it sometimes seem in our American classrooms. And of course, if you haven’t yet checked out the 90th Carnival of Mathematics posted over at Walking Randomly (love the name! ), you must do so. As usual, it’s a thorough summary of recent quality posts from the math blogging community. Okay, that’s all for now. Thanks for letting me take a little random walk! What is the sum of the squares of the first four prime numbers? Good job. Now, onto the carnival. This is my first carnival, so hopefully I’ll do all these posts justice. We had lots of great submissions, so I encourage you to read through this with a fine-toothed comb. Enjoy! Here’s a post (rant) from Andrew Taylor regarding the coverage from the BBC and the Guardian on the Supermoon that occurred in March 2011. NASA reports the moon as being 14% larger and 30% brighter, but Andrew disagrees. Go check out the post, and join the conversation. Have you ever heard someone abuse the phrase “exponentially better”? I know I have. One incorrect usage occurs when someone makes the claim that something is “exponentially better” based on only two data points. Rebecka Peterson has some words for you here, if you’re the kind of person who says this! Frederick Koh submitted Problem 19: Mechanics of Two Separate Particles Projected Vertically From Different Heights to the carnival. It’s a fun projectile motion question which would be appropriate for a Precalculus classroom (or Calculus). I like the problem, and I think my students would like it too. Murray Bourne submitted this awesome post about modeling fish stocks. Murray says his post is an “attempt to make mathematical modeling a bit less scary than in most textbooks.” I think he achieves his goal in this thorough development of a mathematical model for sustainable fisheries (see the graph above for one of his later examples of a stable solution under lots of interesting constraints). If I taught differential equations, I would absolutely use his examples. Last week I highlighted this new physics blog, but I wanted to point you there again: Go check out Five Minute Physics! A few more videos have been posted, and also a link to this great video about the physics of a dropping Slinky (see above). Mr. Gregg analyzes European football using the Poisson distribution in his post, The Table Never Lies. I liked how much real world data he brought to the discussion. And I also liked that he admitted when his model worked and when it didn’t–he lets you in on his own mathematical thought process. As you read this post, you too will find yourself thinking out loud with Mr. Gregg. the number of possible ways to order or permute just the hearts is 13!=6,227,020,800. That’s about what the world population was in 2002. So back then if somebody could have made a list of all possible ways to arrange those 13 cards in a row, there would have been enough people on the planet for everyone to get one such permutation. I think it’s good to remind ourselves that whenever we shuffle the deck, we can be almost certain that our arrangement has never been created before (since arrangements are possible). Wow! Alex is looking for “random” numbers by simply asking people. Go contribute your own “random” number here. Can’t wait to see the results! Quick! Think of an example of a real-world bimodal distribution! Maybe you have a ready example if you teach stat, but here’s a really nice example from Michael Lugo: Book prices. Before you read his post, you should make a guess as to why the book prices he looked at are bimodal (see histogram above). Edmund Harriss asks Have we ever lost mathematics? He gives a nice recap of foundational crises throughout the history of mathematics, and wonders, ultimately, if we’ve actually lost any mathematics. There’s also a short discussion in the comments section which I recommend to you. Peter Woit reflects on 25 Years of Topological Quantum Field Theory. Maybe if you have degree in math and physics you might appreciate this post. It went over my head a bit, I’m afraid! Shecky R reviews of David Berlinski’s 2011 book, One, Two Three…Absolutely Elementary mathematics in his Brief Berlinski Book Blurb. I’m not sure his review is an *endorsement*. It sounds like a book that only a small eclectic crowd will enjoy. Peter Rowlett submitted this post about linear programming and provides a link to an interactive problems solving environment. Here’s a fun-loving post about Heptagrins, and all the crazy craft projects you can do with them. Don’t know what a Heptagrin is? Neither did I. But go check out Jess Hawke’s post and she’ll tell you all about them! Any Lewis Carroll lovers out there? Julia Collins submitted a post entitled “A Night in Wonderland” about a Lewis Carroll-themed night at the National Museum of Scotland. She writes, “Other people might be interested in the ideas we had and also hearing about what a snark is and why it’s still important.” When you check out this post, you’ll not only learn about snarks but also about creating projective planes with your sewing machine. Cool! Mike Croucher over at Walking Randomly gives a shout out to the free software Octave, which is a MATLAB replacement. Check out his post, here. MATLAB is ridiculously expensive, and so the world needs an alternative like Octave. He provides links to the Kickstarter campaign–and Mike has backed the project himself. I too believe in Octave. I’ve used it a few times for my grad work and I’ve been very grateful for a free alternative to MATLAB. Okay, that’s it for the 87th Carnival of Mathematics. Hope you enjoyed all the posts! Sorry it took me a couple days to post it–there was a lot to digest :-). 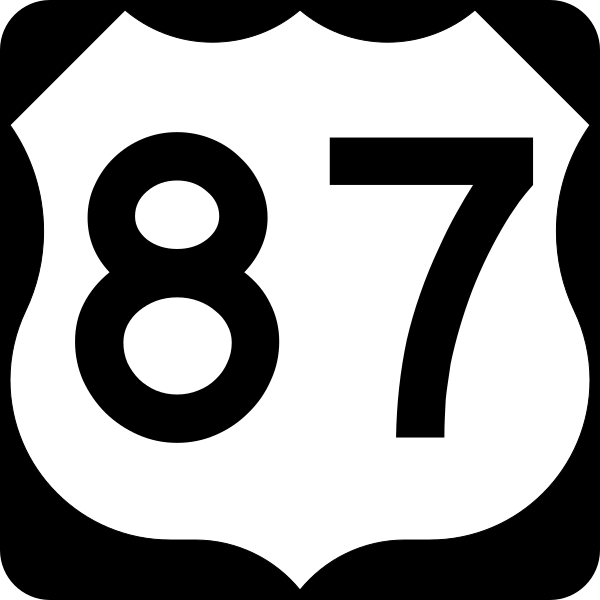 If you missed the previous carnival (#86), you can find it here. The next carnival (#88) will be hosted by Christian at checkmyworking.com. For a complete listing of all the carnivals, and more information & FAQ about the carnivals, follow this link. My wife and I are expecting our first child in February, so these are definitely items that should be on our registry, wouldn’t you agree? I saw these first on thinkgeek.com. Introductory Calculus for Infants is currently out of stock, but Amazon.com has it! I haven’t seen any legitimate reviews of these books yet (no reviews on amazon.com), so I’ll have to provide a review once I get them. Introductory Calculus is a Calculus book, Andre Curse is about infinite recursion, as the cover subtly suggests. This is the most important thing to be thinking of as I prepare for fatherhood, right?